In the 2nd quarter of 2011 Intel announced Ultrabook, a new category of thin and light mobile computers. In a thin, light and elegant design, Ultrabook will have the performance and capabilities of today’s laptops with tablet-like features. Moore’s Law and Silicon technology brings Ultrabook into Man's grasps in the same way they have brought the traditional PC for the past 40 years. By end of 2012, Intel expects 40% of consumers laptops to be in the Ultrabook category. Intel Ultrabook is the product of Intel's work on redefining the consumer PC experience with the following benefits in mind such as: instant on, all day battery life, security, touch interface, seamless interconnectivity between devices, support for all OSs, security and best class graphics - all at considerable price points. Meanwhile Let's take a look of "The Evolution of The Microprocessor". The Brain of Millions of Devices - without the Microprocessor, they would not have existed! 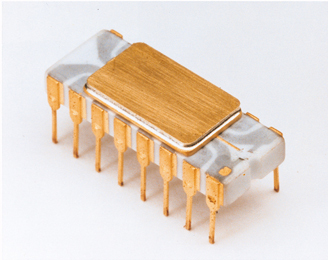 The first microprocessor – the Intel® 4004 – saw the light in 1971. Since then, the PC has been undergoing a transformation to become the phenomenal tool is today and has experienced a meteoric rise in popularity and pervasiveness. The PC is 30 years old in 2011 and its brains, the microprocessor – is even older, a staggering 40 years old. Is there still room for expansion and what shape will future incarnations take? Yes, The Intel Ultrabooks is here to stay! 0 comments: on "Intel Ultrabook thin & light laptops and the Microprocessor Evolution"